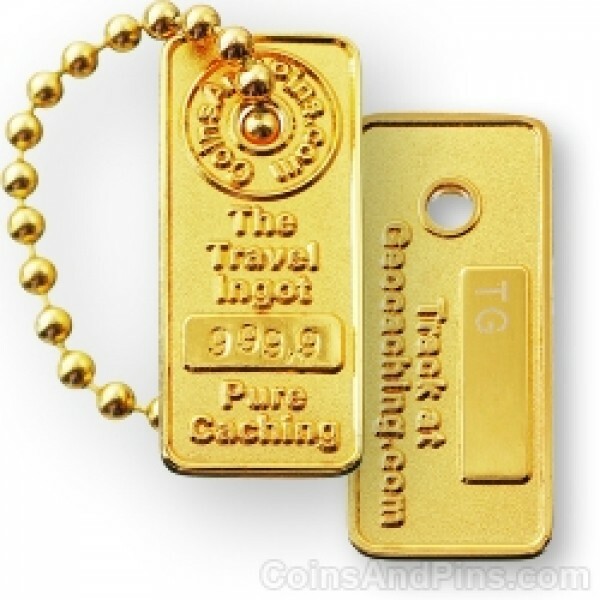 Made to look like a small gold ingot, this great little geocaching traveler fits into regular and micro geocaches. It measures 34mm long and 15mm wide. This specially designed coin was made to fit in more than 35mm canisters: it also fits in match case containers and some candy containers. Get noticed with your piece of geocaching bling. Get yours today and save money over other trackable items.